Childhood in Moscow, Geneva and Vienna, interim residence in the United States of America. Today Valerie commutes between Saint Privat, a little village in Hérault, France and Vienna, Austria, and loves to travel. At the age of 14 Valerie can already be found on stage continuously and has signed her first record deal. Valerie has been singing, writing and collecting melodies ever since she was able to speak. The singer studied both jazz singing at the Conservatory and law in Vienna. Valerie’s music has the multi-faceted character of chansons and makes use of different music genres. Edith Piaf, Hildegard Knef, Jaques Brel and the song-tradition around the Viennese songwriter Gerhard Bronner have influenced her work. As an entertainer live concerts are her elixir of life. In the media, the two-time winner of the Austrian music award ‘Amadeus’ has been labeled as ‘Austria’s most beautiful voice’ time and again. Soft once, wild the next, but always precise. Her humorous, poetic, thoughtful and vital lyrics – penned by Valerie alone as well as in collaboration with different writers – are often critical of society in a playful way. Valerie manages the balancing act between art and commerce: She is telling stories. Valerie loves meeting people. And she adores variety – in her life and in music. Many different music projects with producers in Austria, Germany and France have influenced her musical career. Her most important musical co-operations so far have been with the electronic artist Klaus Waldeck (Saint Privat) and with David Bronner (solo albums ‘Picknick’ and ‘ICH BIN DU BIST’). Valerie is supported by extraordinary live-musicians, and together they have created a unique sound. Valerie’s voice and music can be heard in various commercials and TV-productions. Due to her talent to delight her audiences with words and stories, Valerie is often booked to host international events in Austria and abroad. Valerie Sajdik was born on April 2nd in the wine-making region close to Vienna, Austria. 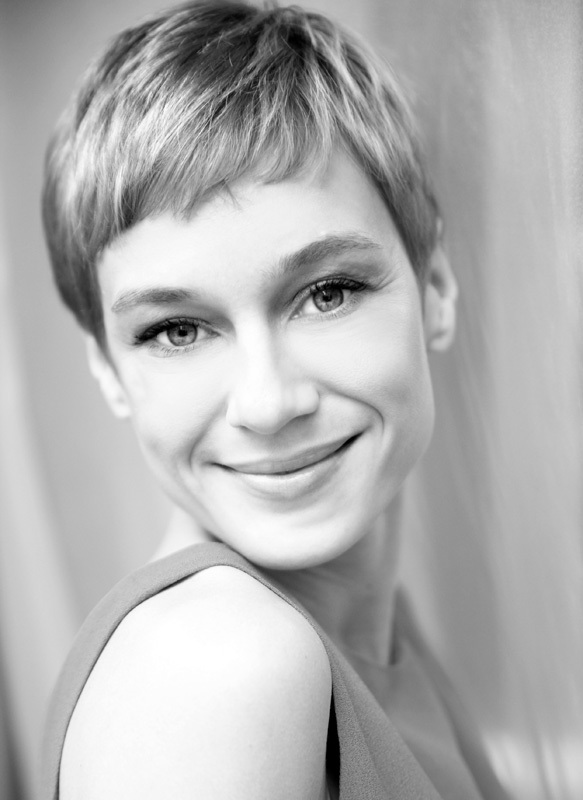 Due to her parents´ profession, Valerie had a peripatetic childhood in Moscow, where she attended French School. Valerie speaks (and sings! ), German, French and English fluently and has a working knowledge of Russian. Valerie’s travels continued to New York, where she discovered the Jazz scene and shortly after was inspired to study jazzsinging at the Vienna Konservatorium. . Soon after, Valerie started playing gigs in the jazz cellars in Vienna with her electro-jazz band, Valeriesgarden“ Simultaneously, she began some experimentation work with German lyrics and achieved her first chart successes with the girl band, “C-bra” followed by a tour through Austria, Germany and Switzerland. Valerie also gathered experience as a stage actress and singer, appearing in the play „Das Dorf an der Grenze“, (The Village at the Boarder) at the city theatre in Klagenfurt. In the play, she interpreted songs by the band „Naked Lunch“. As well as pursuing her acting and musical career, Valerie also continued her law studies which she started in Vienna and then finished at the Université René Descartes Paris in 2002. Valerie immersed herself in the Parisian music scene and one of her music projects brought her to the little village of ‘Saint Privat’ in the deep South. There, she built up a music studio with C-bra producer David Bronner, to develop the first songs for her solo career. The village of Saint Privat, surrounded by vineyards and olivetrees, turned out to be a place of auspicious creativity, lending its name to a musical collaboration with the Austrian dub and down tempo artist Klaus Waldeck. Two of the „Saint Privat“ band members were former members of “Valeriesgarden”. After the big surprise success of “Saint Privat” ´s first album „Riviera“ in 2004 with the hit single „Tous les jours“, Valerie went on world tour and together with Klaus Waldeck won „Newcomer of the Year“ at the Amadeus Music Awards. The second album, “Superflu“, (2006), to which Valerie made a sizeable contribution to the lyrics, also experienced commercial and critical success. In the interim, Valerie penned many more chansons in both French and German in her studio in the South of France. Her endeavours were rewarded by the signing of a solo deal with Sony Austria. The album „Picknick“ is released in 2007 with the hit single „Mädchen“ (for which Valerie received the Amadeus Award for “Song of the Year”), and „Regen“, which stayed in the Austrian charts for 29 weeks, often in the Top 10. In Germany, the hit „Regen“ enjoyed similar success, reaching number 2 in the charts voted by listeners of the Radio NDR. Valerie’s second solo album „Ich bin du bist“ was launched in 2010 and till now is perhaps the most personal of Valerie´s albums, receiving many good reviews. With this album in her ‘back pocket’, Valerie was invited to perform at the Olympic Winter Games in Vancouver, at the Midem in Cannes and at a one week Festival of Chinese and Austrian Contemporary Music in Beijing and Shanghai. Following an invitation from musicmanager Willi Türk, Valerie performed in the imperial town of Bad Ischl, in Upper Austria, as a surprise guest with the „A, B, C and D of Boogie Woogie with Jools Holland, British star musician and entertainer, and Rolling Stones Drummer Charlie Watts. Valerie had the privilege of participating at a nation-wide tour with Jools Holland, and in June 2011, they recorded „Wohin die Liebe fällt/Wheel of fortune“, written by Holland as a homage to Edith Piaf in the Helicon Mountain Studios in London. The song will appear in his upcoming album „Jools Holland and friends“ (released on the 16th of September 2011) alongside songs recorded with Sting, Bono, BB King and German artists like Herbert Grönemeyer, Ina Müller and Roger Cicero. Earlier that year, Valerie was to return to New York City to record some vocals on a jazzproduction of “Pudditorium”. Academic degrees in jazz-singing at the Viennese conservatory and law. Since 2006 she has published 4 albums and participated as a guest-singer in various productions – those with Jools Holland, a famous English pianist and entertainer, have to be highlighted.